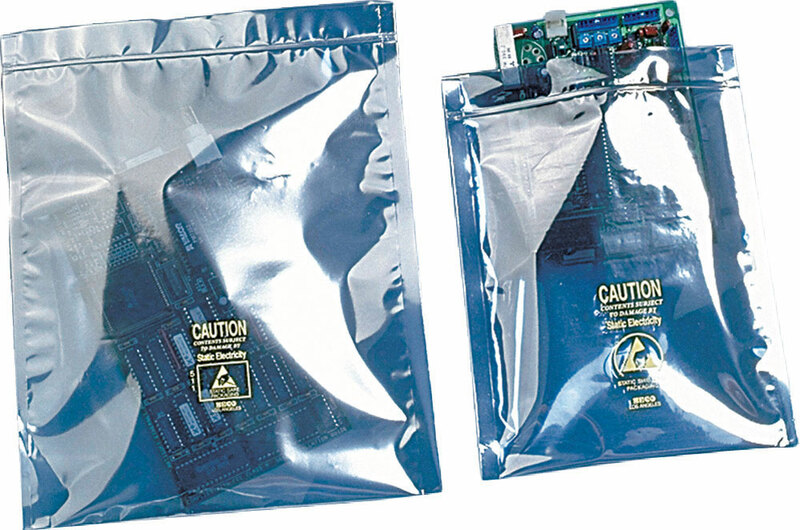 These Zipper Locking Static Shielding Bags are made from a multi-layer 3 mil laminated film which has a metal layer as its core. This layer functions as a barrier to E.S.D which allows a static electronic charge to move around and not through the bag. The inner layer provides static dissipative protection for the metal layer and also strengthens the seal of the bag. The outer layer is a non-static generating layer that resists abrasion and puncture. 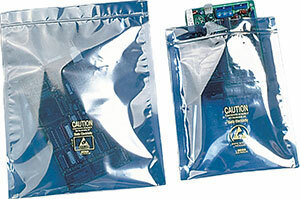 Our Anti-Static Shielding Zip Top Reclosable Bags are perfect for multiple uses. Manufactured to provide Faraday Cage protection and visibility for highly-sensitive components. Meets the electrical and physical requirements of ANSI/ESD S541, EIA 625 and is ANSI/ESD S20.20 program compliant. Tested per MIL-STD-3010 4046 and ANSI/ESD STM11.11. With a Reclosable Zipper, these bags for Electronics guarantee a secure closure that can be opened and closed repeatedly. The interlocking closure will insure a continuous static shield when the zipper closure is locked together.